A native of Lafayette, Harold Schoeffler graduated from USL in 1961. In 1949, he began a lifetime relationship with the Boy Scouts reaching the rank of Life Scout. 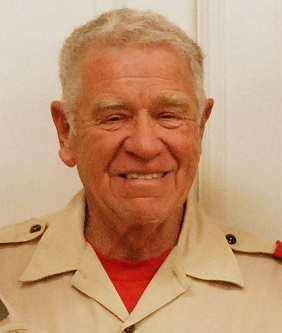 He has served on the summer camp staff at Camp Thistlewaite for many years, the Evangeline Area Council of the Boys Scouts as District Committee Member, Scout Master of Troop 405 from 1941 to the present and received the following awards: District Award of Merit 1984, Bronze Pelican 1985, Silver Beaver 1988 and Saint George Award 1988. From 1956 to 1960 he was a board member and delegate representing the Lafayette Rod and Gun Club to the LA Wildlife Federation. Schoeffler served his country in the U. S. Air Force, enlisting in officer training school in 1961. In 1962 he was commissioned an officer and received the Air Force Supply Officer of the Year Award. In 1965, he served as Chairman of the Rod and Gun Club for Robins AFB and worked on many conservation and habitat preservation projects in Central Georgia. Since 1974, Schoeffler has been intimately involved in coastal conservation. He served as Chairman of the Conservation Chair for the Acadiana Group Sierra Club from 1974 to the present, Wetlands Chair from1983 to1991 of Delta Chapter Sierra Club and Conservation Chair from 1992 to 2002. He served as Chairman/Cofounder of Save Our Coast which, through many court proceedings, stopped shell dredging in Lake Ponchatrain, local bays and the Gulf of Mexico. From 1987 to 2003, he was a board member of the Louisiana Coastal Coalition, a group dedicated to preserving Louisiana’s eroding coast and wetlands. From 1987 to 1993, he served as a member of the Department of Environmental Quality, State Environmental Board and, from 1970 to 1974, served as Chairman of the Acadiana Ozark Society. He was a founding member of WEST (Wind Energy System Technology), seeking to establish offshore wind energy for the future. In 1987, Schoeffler presented to the U. S. Fish and Wildlife Service a petition to place the Louisiana Black Bear on the Endangered Species List. In 1992, his efforts proved fruitful and, as a result of a successful lawsuit, the bear was placed on the Endangered Species List. In 2005, he was successful in forcing the U. S. Fish and Wildlife Services to dedicate over one million acres of land for critical habitat for the recovery of the Louisiana Black bear. From 1987 to 1992, he served as support member of the City of Lafayette’s Solid Waste and Recycling Committee, setting up the state’s first recycling program. Schoeffler has received the following awards for his work: Sierra Club’s highest conservation award for the state in 1983, 1989, 1991 and 2005; 2004 Outdoorsman of the Year by the Acadiana Sportsman Association, Louisiana Wildlife Federation; 1987 Conservationist of year, Woodmen of the World, Lafayette area; and 1986 Conservationist of Year by the Louisiana Wildlife Federation, Non-Professional. Schoeffler is married to Sarah Todd Schoeffler and is the father of six children: Harold, Jr., Diann, Todd, Catherine, Gordon and Ted. He has seven grandchildren and one on the way.